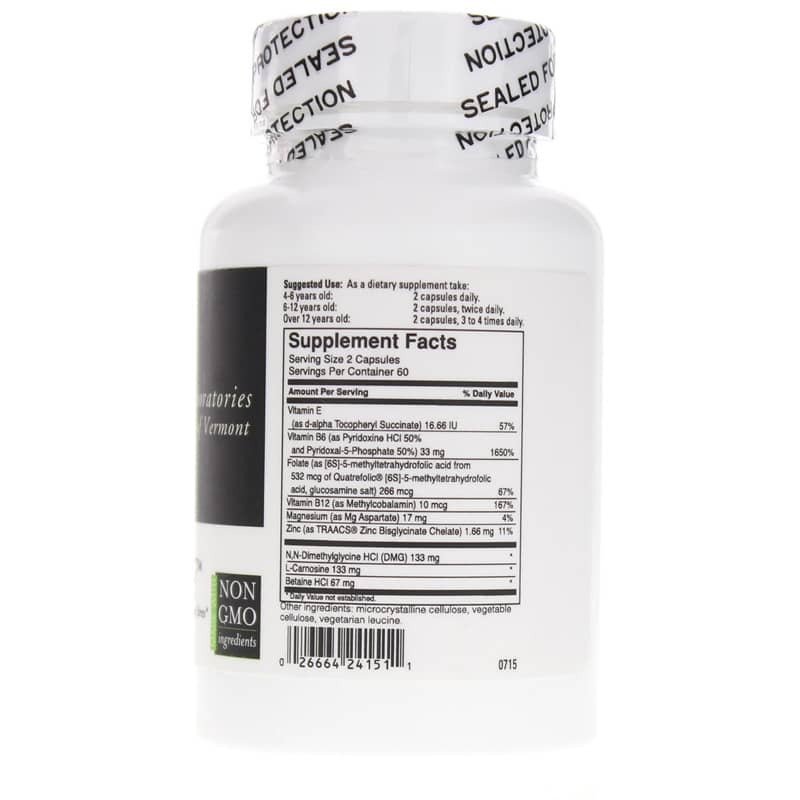 Betaine (trimethylglycine) helps support improving behavior, increasing social interaction, improving circulation, normalizing amino acid metabolism and protecting the liver from fat deposits. * Betaine is a precursor to DMG. DMG helps the body adapt to various forms of stress and supports the immune system. * Three U.S. 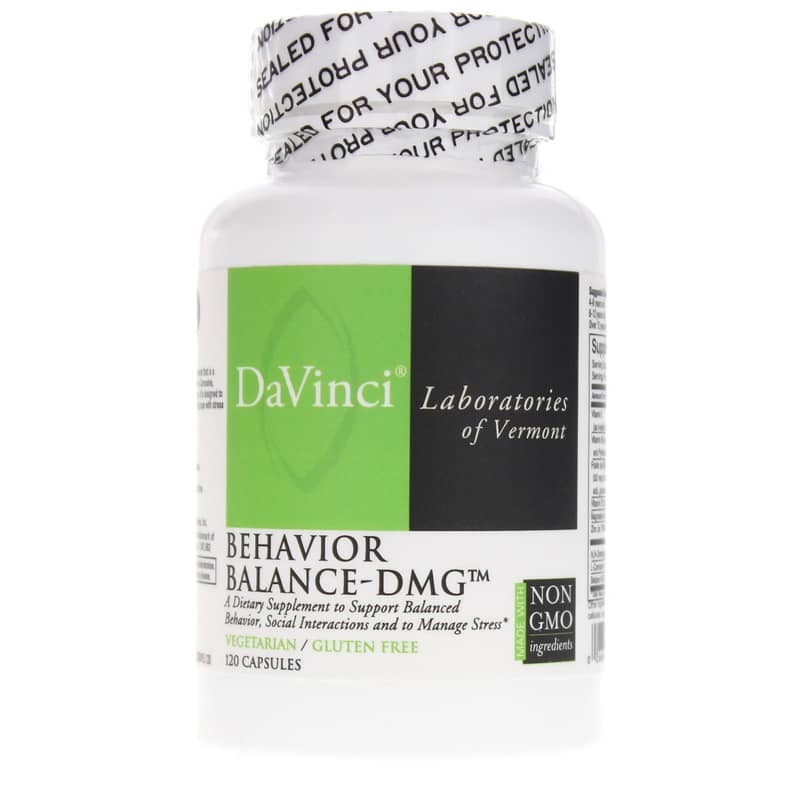 Patents on DMG have been awarded to DaVinci based on 20 years of extensive research into the benefits on DMG. 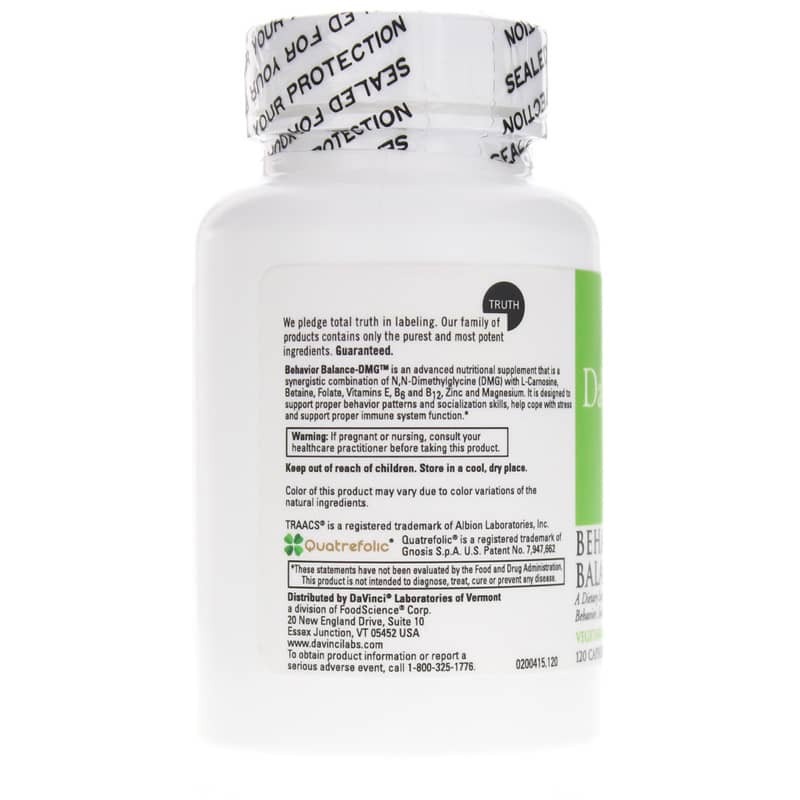 Over 12 years: 2 capsules, 3 to 4 times daily. I bought this for my 8 yr old daughter who has ADHD, depression and anxiety. And she has been taking it for about 3 weeks and I have seen improvement in her behavior and there has been less fighting to get her to do her homework and be still in class! I just wish it wasn't so expensive. But it is working so it is worth it! !